Just like in Apples Finder, you can now use color labels to mark and identify any item inside of NeoFinder. Please note that NeoFinder will not write these labels back to the original file. 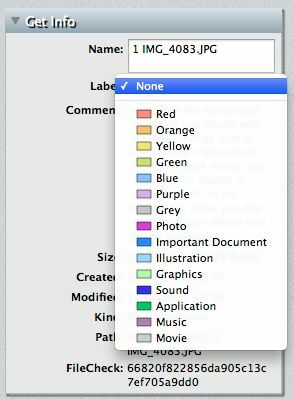 It will try to read the existing labels from the Finder during cataloging, but since Apple has massively changed their label code in Mac OS X 10.9 Mavericks, and now allows things like multiple labels, NeoFinder won't be able to write these back. So just use labels as an organising tool inside of NeoFinder. 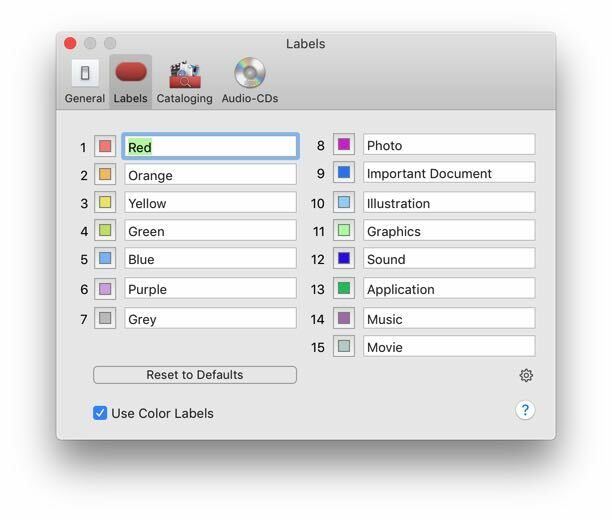 You can change the colors of any label by clicking into the little color field before its name. And of course you can change the name, too. If you activate the use of color labels, NeoFinder will use the colors in any place it uses the labels already, including the menus in the Inspector, or the Find Editor. You knew that NeoFinder can search for items with a specific label, didn't you? This is where labels come in really handy. If you wonder how to get the nice Finder like labels, you can get a new set of them from here. Download the file, uncompress it, and import it to NeoFinder as shown above. Enjoy!